Putin, meanwhile, rejects allegations that Moscow meddled in France's presidential election and also defends his March meeting with far-right leader Marine Le Pen. PARIS — With Russian Vladimir Putin at his side, French President Emmanuel Macron made an extraordinary attack Monday on two Russian media outlets, saying they acted as “propaganda” organs during France’s election campaign. Speaking at a news conference with Putin, Macron accused Russia Today and Sputnik of spreading fake news. He said that’s why he banned their reporters from his campaign headquarters during the race for the French presidency, which he went on to win by a landslide on May 7. Moments earlier, Putin had rejected allegations that Moscow meddled in France’s presidential election and also defended his March meeting with Macron’s rival in the presidential race, far-right leader Marine Le Pen. Putin described Le Pen as a politician who wants to develop friendly ties with Russia. 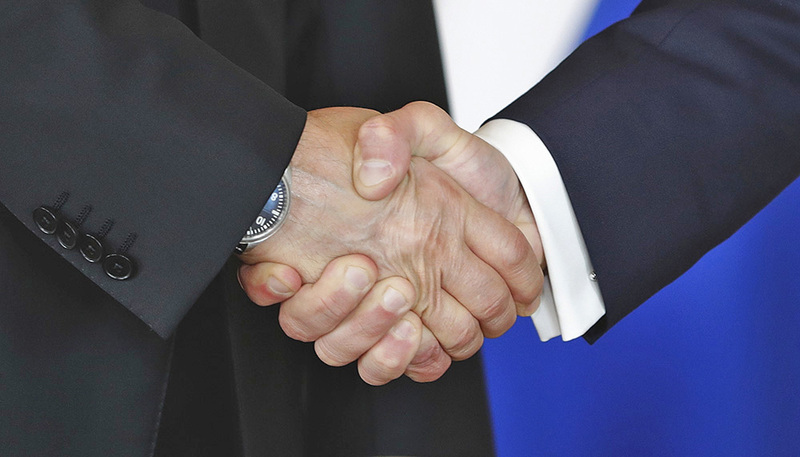 Putin said it would be strange if Russia rebuffed overtures from European politicians who want to strengthen relations and that the meeting with Le Pen didn’t represent an attempt to sway the race. 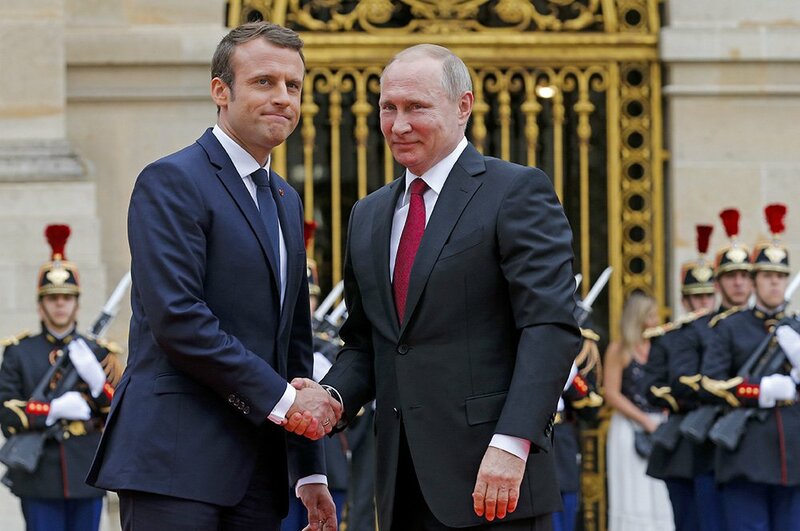 Putin said he and Macron agreed during their private meetingat the Palace of Versailles to discuss pursuing closer cooperation on anti-terror efforts. He said Macron proposed exchanging official delegations to work toward that goal. The Russian leader said they also discussed the situation in Syria and Putin underlined the importance of securing the Syrian state, adding that it’s essential for combatting terrorism. Russia has staunchly backed Syrian President Bashar Assad throughout the conflict, while France has pushed for Assad’s removal from office. Macron said after talks that he believes France and Russia can work together on Syria and that he wants to forge a reinforced partnership against the Islamic State group. Macron said he wants a democratic transition in Syria, but not at the cost of the war-torn country becoming a failed state. Macron said the use of chemical weapons in Syria was a “red line” for France. He said that any use of such weapons in Syria would lead to “reprisals” from France – without specifying exactly what form they would take. Macron said he also spoke to Putin about LGBT rights in Chechnya and about NGOs in Russia.